For a country that is made up of only 51,060 sq. 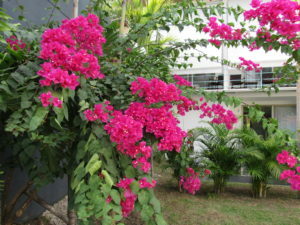 km., Costa Rica is like a world within a country. Its natural abundance of rainfall (3000 mm/yr) and warm tropical climate fosters the growth of 5% of the world’s biodiversity. The countries dramatic topography includes large stretches of beaches on the 635 miles long Pacific coast to mountains that reach 12,500 feet in the center of the country back down to lowlands on the Caribbean side that has only 132 miles of coastline. 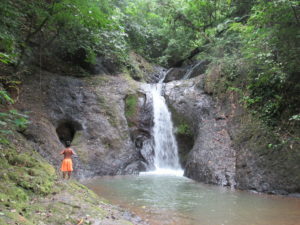 Many waterfalls are found throughout the country. Coolest natural water in the neighborhood. A chain of volcano’s stretch the length of the country. Farming is prevalent throughout the country, with many banana, palm oil, cocoa, coffee plantations. Approximately 10% of the land area is used for farming. The country produces more than 2 million metric tons of bananas yearly. They are the 2nd largest banana producer in the world. Costa Rica boasts some of the best sports fishing in the world with a large variety of sports fish such as Roosterfish, Sailfish, Marlin, Dorado, Mahi Mahi, Yellowfin Tuna and Spanish Mackerel. 2.3 million tourists arrive yearly and that number is expected to rise to 5 million by 2027. Activities that tourists enjoy are surfing, sports fishing, zip-lining, river rafting, ATV tours, trekking, golfing, paragliding. 47% of tourists engage in activities related to Ecotourism. 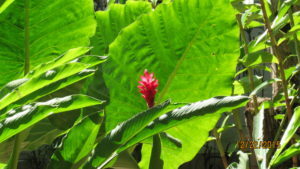 Costa Rica is one of the developing worlds best ethical destinations. 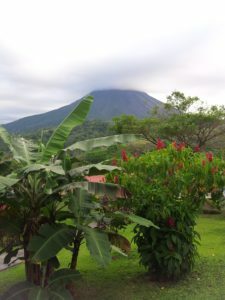 A popular tourist destination is Arenal Volcano. This 1670 metre giant last erupted in 2010. Arenal lake saddles the region and contains tropical forest and a rafting river. Visitors can enjoy one of the many hot-springs and abundant wildlife in the area. Arenal is one of the most famous volcanos in Costa Rica, along with one of the 6 that are active. 60 other dormant volcanos populate the country. Another classic day on Playa Esterillos Oeste. Corcovado National Park on the Osa Peninsula is home to 500 species of trees, 6000 species of insects, 140 species of mammals, 400 species of birds, 116 species of amphibians and reptiles and 40 species of fish. 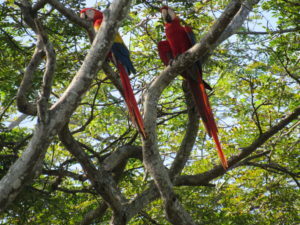 The protected 103,290 acres of tropical rainforest boasts the largest concentration of macaws and virgin lowland rainforest in Central America. 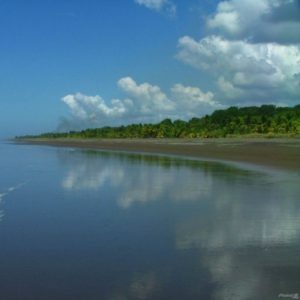 In the Northwest, one can tour the Tortuguero National Park in Kayaks or a covered boat. 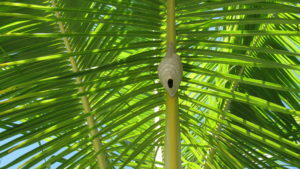 Wildlife includes caimans, snakes, monkeys, iguanas, several species of birds and green sea turtles. Manuel Antonio National Park lies midpoint on the Pacific Coast. The town of Quepos is nearby where you can bus to and catch another local bus over to Manuel Antonio. The Park is a tourist Mecca. Be sure to catch the correct day the park is open as it operates on strange days and hours. Long lineups for tickets to get in can be problematic. 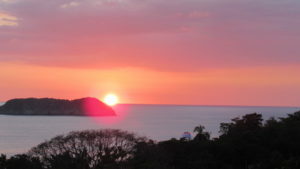 Another day ends in Manuel Antonio. You never wish days like these to stop happening. 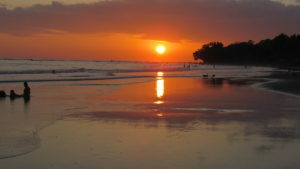 The people of Costa Rica are very easy going, polite, gentle, friendly and kind. Ticos are a mix of immigrants largely from Spain and other parts of Europe. 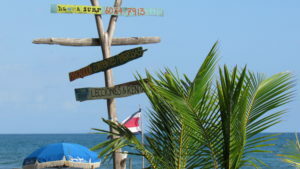 On the Caribbean coast, many peoples are dark skinned with links to African lineage. In certain areas such as Talamanca, there are pure-blooded Indians of various tribes. The country is Catholic with a church in every village. It helps to learn Spanish to allow strong effective communication and stave off miscommunication and misunderstanding. Costa Rica is a photographers paradise. 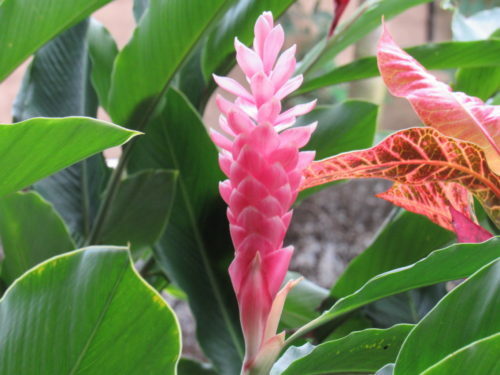 You are invited to share your best photographs of what Costa Rica has to offer. Give us your best eye to an incredibly diverse world of flora, fauna, landscape, people, and culture. Edge of the World…….Next stop. The Galapagos.